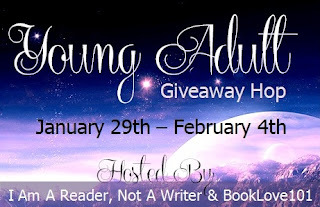 Hi, and welcome to my stop for the Young Adult Giveaway Hop. Enter for your chance to win an eBook copy of my new release, Fall For Me (The Tate Chronicles #1). Make sure you check out the linky list below for all the other blogs participating. Good luck! "This book has plenty of twists and turns with moments that will shock you and leave you eagerly anticipating the next chapter." "This delightful, romantic and well-written story puts a different twist on angels and vampires entirely." The cover is so pretty - did you do it yourself? I love angels, for now. I had too much of vampires. Well, Fall For Me has a bit of both! Good luck. Both! They're both awful if poorly done, but fantastic if done well! Totally both! You should read "Crushed Seraphim" by Debra Anastasia. That has BOTH in it! 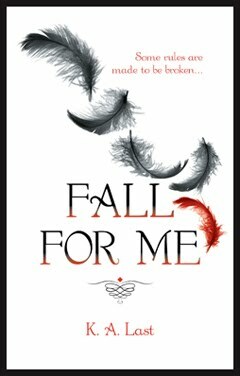 Fall For Me has both so it's probably right up your alley. I'll definitely check out Crushed Seraphim. Thanks, and good luck! Both! Sometimes separately and sometimes together!! I like angle the best. Thanks for sharing the hop. So many of you like both! Fall For Me will be perfect. Good luck to you all. Vampires. Thanks for the giveaway! I say both but I prefer Angels! I just love a good story, but if I had to choose my first choice is Vamps, but then again LOL Thank you for your generous participation in this fun hop. Yes, a good story always helps lol. Thanks for entering and good luck.